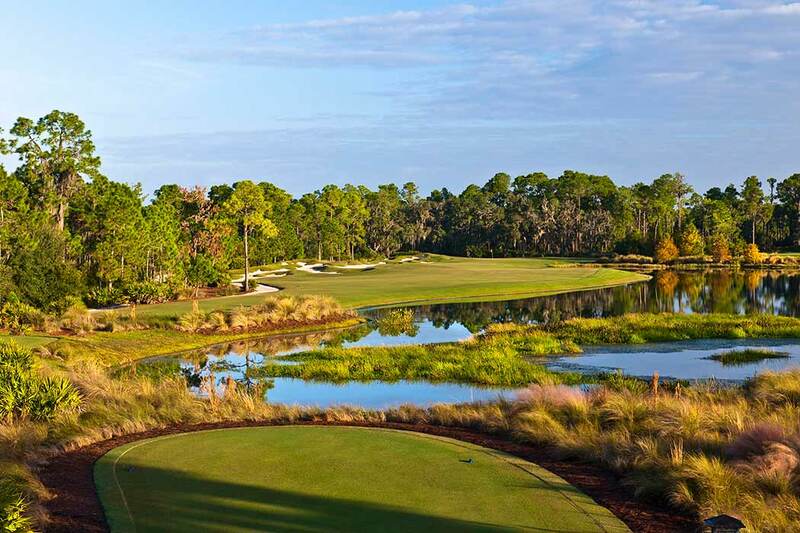 Starting today, 30 of the nation’s best Division I teams and six standout individuals are set to converge on The Concession Golf Club, a layout in Bradenton, Fla., designed by Jack Nicklaus in association with Tony Jacklin. It’s the same course that played host to a dramatic and intense NCAA Division I Women’s Golf Championships earlier this week, where Stanford claimed their first women’s national championship title and Alabama’s Emma Talley claimed individual honors. Golf Channel shines the national spotlight on the men, featuring comprehensive news and tournament coverage Monday, June 1, through Wednesday, June 3, as part of the network’s 25 straight days of live golf. Airtimes are 4:00–7:00 p.m. ET Monday, 10:30 a.m.–12:30 p.m. and 3:30–7:00 p.m. ET Tuesday, and 3:00–7:00 ET Wednesday. The road to the men’s championships has included six regional tournaments held May 14–16. Five schools qualified from each region and two of them are expected to make some noise this weekend. The University of South Florida, located just north of Bradenton in Tampa, serves as the host school. Rookie head coach Steven Bradley helped the Bulls capture the New Haven Regional and advance to their first NCAA Division I Golf Championship. The Bulls—who sat at No. 15 in the GCAA Coaches Poll heading into New Haven—had no easy task in winning their first Regional. South Florida took on national top-20 powerhouses like Vanderbilt (No. 5), LSU (No. 7) and Oklahoma State (No. 19), and the Bulls came out of the gates poised for victory and never looked back. USF won their Regional in a landslide, finishing at 14 under—the only team to finish under par at The Course at Yale. The Bulls have won three in a row heading into Concession, winning at The Irish Creek Collegiate, the American Athletic Conference Championship, and then in New Haven. They also have had the luxury of playing The Concession this season. Does their recent hot streak and familiarity with the Jack Nicklaus-designed layout give them an edge heading into this weekend? No. 1-ranked Florida State University and No. 8 Stanford were expected to be favorites in the Chapel Hill Regional, but the Charlotte 49ers came out victorious, earning the program’s first Regional Championship. The 49ers find themselves in a new spot. They are the winners of the Chapel Hill Region, and people will certainly be looking at them differently. “When you’re able to beat the No. 1 team in the country and then a really good Stanford team that finished just behind us, it sure builds some confidence,” 49ers head coach Ryan Cabbage said. “It shows our guys that if we do play well, we can compete with the best teams in the country and beat the best teams in the country. The 49ers are truly a team that feeds off of each other. Only Victor Wiggins earned All-Conference honors (second team), but all six of their golfers have had multiple top-10 finishes this season. Despite being void of what people may label a superstar, the 49ers are tough from the top to the bottom of their lineup. Four of their players finished in the top 12 at Chapel Hill, which propelled them to victory. While Charlotte and USF bring some fresh blood to this year’s championship, there are also seasoned veterans in the field. Stanford is always a perennial threat, and this year they are led into the championships behind the amazing play of the Pac-12 Player of the Year, Maverick McNealy, a nominee for the Jack Nicklaus Award as the Division I Player of the Year, to be announced next week during the Memorial Tournament presented by Nationwide. Illinois will be making their eighth consecutive appearance at the DI Championships, but this year, they will be heading in ranked higher than they’ve ever been. The Illini are led by Brian Campbell, who won his second NCAA Regional title this year. The team is full of big names in college golf, as Nick Hardy and Charlie Danielson are also former Big Ten medalists. “We have some experience on our team,” Illinois head coach Mike Small said. “I’m excited to get down and compete in the National Championships with three guys who have a lot of experience and then two talented freshmen. This is their first go at it and they are excited to be here, so I think it’s a good mix of players with experience and excitement. Nicklaus has a rich history in collegiate golf. The Golden Bear was the NCAA Champion in 1961, winning in the individual competition. It was the Golden Bear’s last year as an amateur—and he went on to win a record 18 major championship titles, and was a member of the U.S. Ryder Cup teams that defeated Great Britain in 1981 and tied Britain in 1969—which inspired The Concession Golf Club. “I owe a great deal to amateur golf and to the game that allowed me to propel me into my professional career and the life I chose to lead,” Nicklaus said. The Concession Golf Club—named for Jack Nicklaus’ act of sportsmanship at the 1969 Ryder Cup, when he conceded a putt to Jacklin on the 18th green of the final match that led to the Ryder Cup’s first-ever tie—was named “Best New Private Course” by Golf Digest shortly after opening for play in 2006. The magazine has also included it in its rankings of America’s Greatest Golf Courses, America’s 75 Toughest Golf Courses, and Best-in-State rankings. Nicklaus Design has designed almost 400 courses open for play in 40 countries and 39 states. The Golden Bear has been involved in over 290 of those projects, as either the solo designer or co-designer.